Due to the forces of gravity, sun exposure, and the stress of our busy lives, our faces reveal the signs of aging through deep lines by the sides of our mouths, jowling, and loose skin and bands along our necks. Facelift surgery defines facial rejuvenation. Unlike lasers, topical treatments, or injectable fillers, a facelift repositions and reshapes the deeper structures of the face to give a fresher, more youthful appearance. The end result is smoother skin, a delineated jaw-line, realigned cheeks, a tightened neck and the removal of jowls. 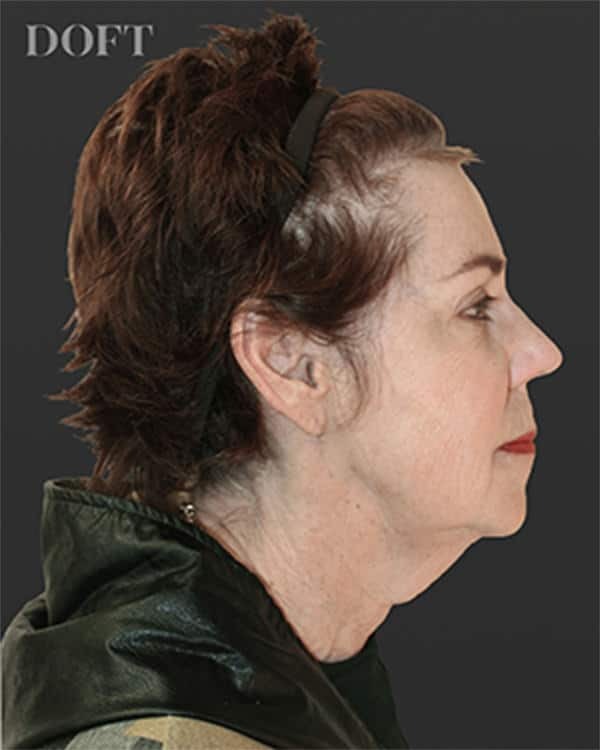 Most patients present complaining of jowling or excess neck skin. Often patients have tried non-surgical interventions like Thermage, Ulthera, fillers, Botox, and lasers but find that they are not achieving the results that they hope for. Other patients are seeking a more permanent change without the upkeep of fillers and Botox. The third group of patients does not want the distorted appearance that they would require if they were to correct their jowls with fillers. There is no perfect age to undergo a facelift but the results are generally better in younger patients who have better skin quality. Good candidates for a facelift are healthy individuals who do not have other medical conditions that may impair healing. It is essential that the patient is not smoking, as nicotine impairs wound healing. 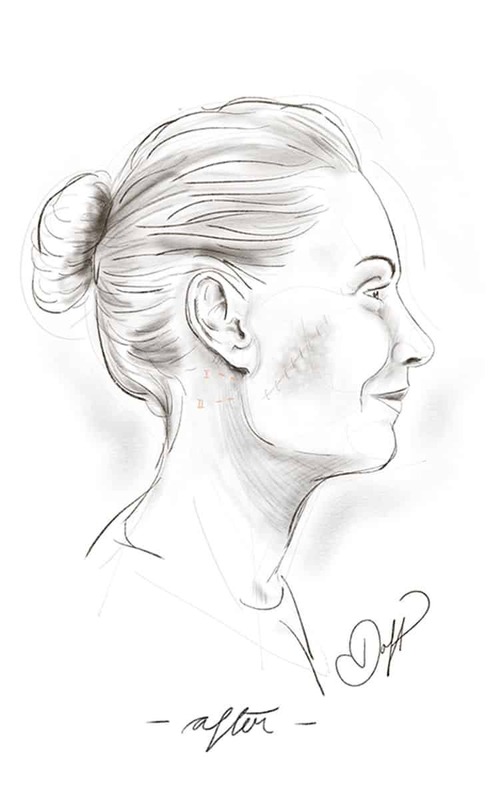 There are many described techniques for performing a facelift: skin only, mini, lifestyle, SMAS plication, SMAS flap, short scar, and deep plane. They each differ by the length of the incision and the depth of the lift. In my training, I have performed all of them. When performing two different techniques on twins, the results were similar, demonstrating that multiple techniques performed by a talented plastic surgeon can lead to the same result. I believe that much of the result relies on the physician’s aesthetic nature and that each procedure needs to be tailored to the patient’s needs. I want you to look refreshed, youthful, balanced, and natural. But I also want to prioritize your safety. It is paramount to balance the best results with the safest journey to get there. The modern facelift uses a multi-modality approach, combining surgery, fat grafting, fillers, botox, lasers and chemical peels. It is important to not only remove excess skin but also to restore volume and rejuvenate the skin. Newer procedures lead to shorter scars and quicker recovery times. A facelift addresses the mid-face, cheeks, jowls, and the neck via inconspicuously placed incisions around the ear and under the chin. The extent of the procedure will determine the length of the incision. For younger patients, a mini-facelift or neck lift can be performed. In these procedures, the incision can be limited to around your ear or to just behind your ear. For surgeries requiring more advanced neck techniques, the incision is often extended into the hairline. 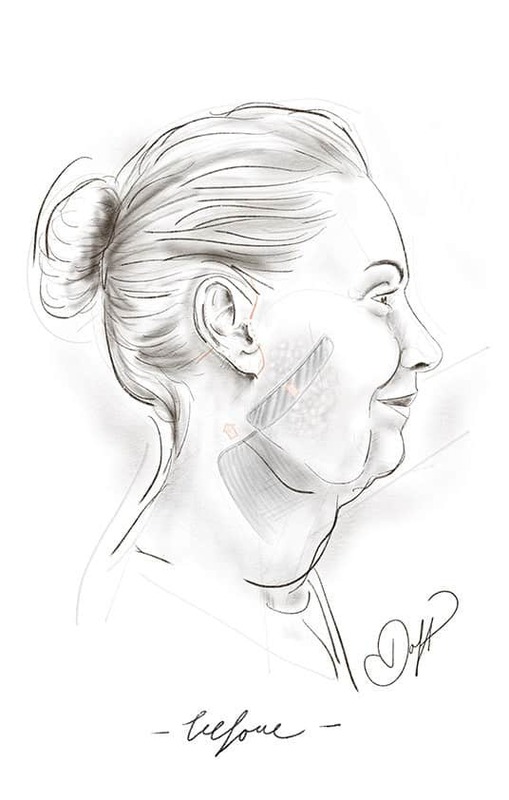 When neck bands, called platysmal bands, are your main complaint, an additional incision is placed under your chin. Many patients already have a scar from childhood in this location. I will try to use this scar. Every effort is made for the incisions to be as inconspicuous as possible so that it is still possible to wear your hair in a ponytail. The extent of skin needed to be removed will determine the length of the incision. In younger patients, a necklift or mini-facelift can be performed in which the incision is confined to just behind the ear or around the ear. 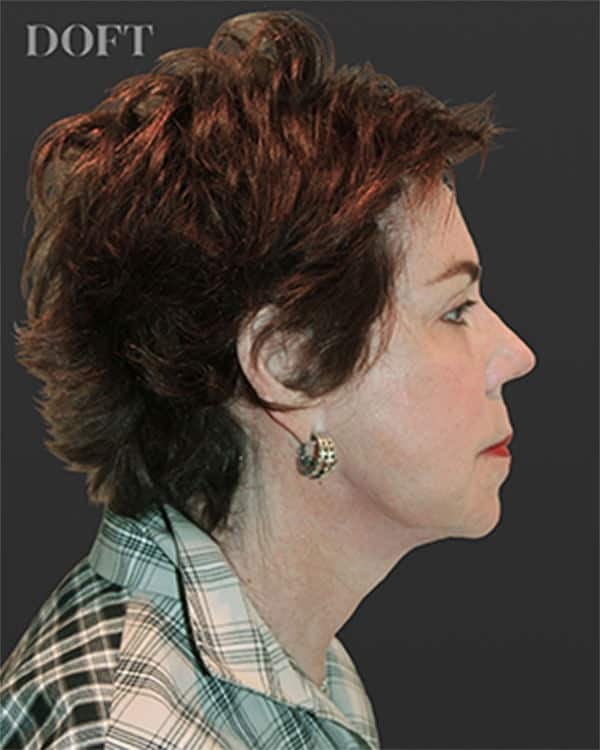 For surgeries that require more advanced neck rejuvenation techniques, the incision is extended into the hairline. Every monument must have a stable foundation and a properly performed facelift is no different. Like many plastic surgery procedures, a facelift is a two-layered repair involving both skin tailoring and tissue repositioning. Once the incision is made, the tissue and muscles beneath are repositioned into a more youthful location via a SMAS plication or SMAS-ectomy. During both operations, the fat and tissue which has moved lower on your face causing jowls and marionette lines are lifted into its original location, leading to a defined jawline. The neck muscles or platysma muscles that lead to a sagging neck and bands are also repositioned to support your neck lift. The foundation of the facelift repair involves removing excess tissue from the SMAS layer, thereby repositioning fat and tissue to a more youthful position. When you pull your neck back in the mirror or in photographs, you are not only pulling up excess skin but repositioning your neck muscles or the platysma muscles. To maintain these changes, it is necessary to create an internal corset. I am able to create the corset through an incision under your chin and from the incisions around your ears. The platysma muscles are brought together in the center and then elevated on the sides to create support for your neck lift. The muscles are then partially cut to prevent future bands from forming. 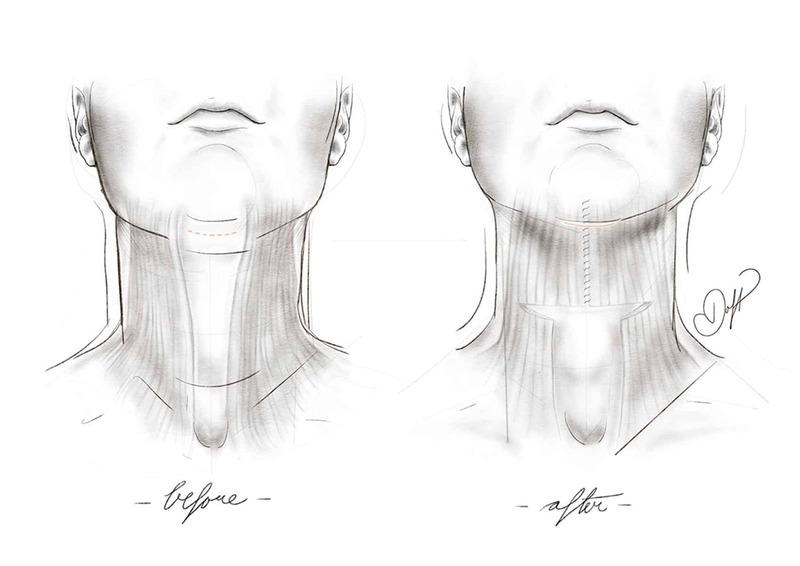 Through an incision under your chin and behind your ears, the platysmal muscles are brought together in the midline and elevated along their sides to create an internal corset, supporting your neck lift. The muscles are partially cut to prevent future bands from forming. A facelift may be performed in a hospital or an outpatient surgery center. I work closely with an anesthesiologist to make sure that you are monitored throughout the whole procedure. The anesthesia consists of local anesthetic and IV sedation. The procedure lasts for three to four hours depending on the extent of work. Recovery time depends on the extent of the facelift and if any additional procedures are performed. Patients often find the operation less painful than they would expect and are taking only Tylenol for pain after a few days. During the first evening, one of our nurses will stay with you to make sure that you are comfortable and to monitor your blood pressure. I will visit you the following morning to check on you and remove your dressings. Stitches are removed in ten days. For patients who have traveled a long distance, I ask that you stay in the New York area for 10-14 days before flying home. You can engage in light exercise on day one and should be back to work in ten to fourteen days. 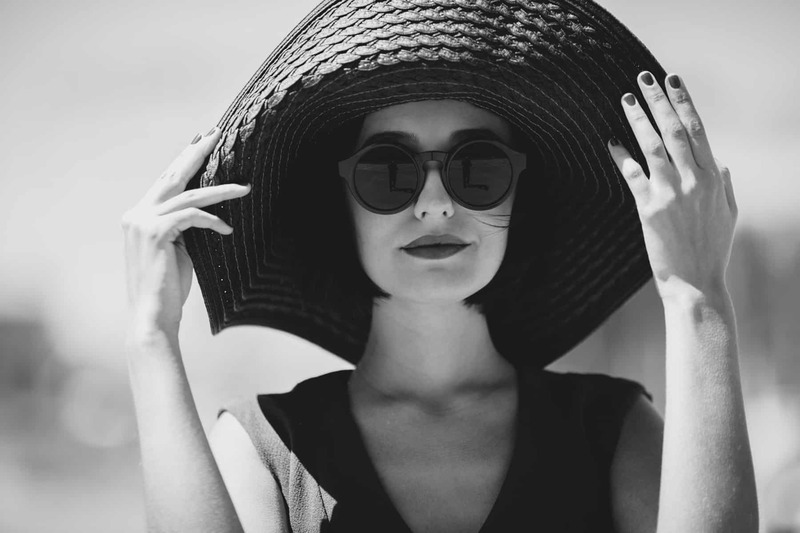 The results from a facelift are visible immediately but you will see that your face continues to improve over the next six months as the swelling subsides. The results are dramatic and long-term. These results can be enhanced by sun protection and proper skin care. Non-surgical treatments can also be used to help maintain a youthful appearance after surgery. Many patients ask, “How long will my facelift last?” One could argue that the changes from surgery will last forever. As you age, your neckline will always look better than it would have without surgery. But over the years, the tightness in your neck will soften. If you are considering having a facelift or a necklift, please call our office at (212) 600.4109 to arrange for a consultation. Our New York City practice accommodates out of town and international patients who need to travel in for surgery as well as those who are local to Manhattan.